Capture moving products, people and objects from a unique perspective. Capture and communicate the scale of your business. Create eye-catching video content that nurtures your ideal customer through the sales process. Show the proximity of other landmarks, amenities and businesses around your own. Not many businesses are using Drone Video well, it's the ideal time to get noticed. Why Invest in Drone Video? 🙋 Drone video will help your business stand out from your competitors. 🌐 You'll be able to show off your business from a completely different perspective. 🚀 It'll take your video marketing to the next level, even if you're already producing high quality video content. Can your business benefit from drone video? Drone video can benefit any business that wants to attract more of the right customers in a creative, eye-catching way. 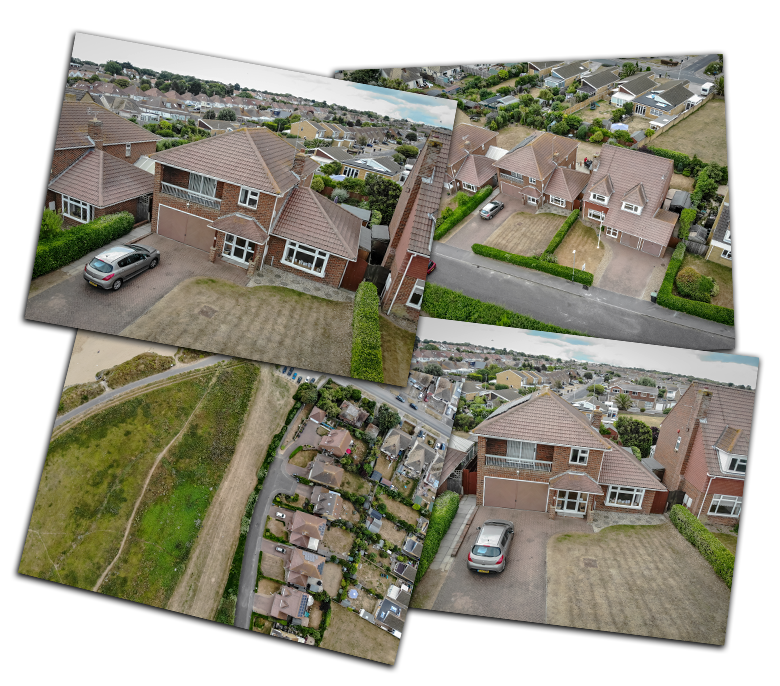 Below, we've provided some examples of the types of businesses that could benefit from investing in drone video..
👍 It can help increase sales and sell properties faster. 👍 Drone Photography can really impress your clients. 👍 For estate agents drone photography can be relatively low cost and offer huge value in return. 👍 Plus, drone photography helps estate agents to stand out from their competitors! Driving footfall is imperative for tourism-based businesses to be successful. Sharing a birds-eye-view of your business and it's beautiful surroundings is a great way to attract people to want to visit. This could work really well for Travel Boards, Zoos, Leisure Centres, Golf Courses, Theme Parks, Castles, Churches, Go Karting, Museums, Nature Parks, Markets, Shopping Centres, Boat Trips, Harbours, Hotels, Bnb's and so many more. It can be difficult to communicate the sheer scale or beauty of some events and venues with standard video content. Sharing drone video is a great way of sharing that experience. It could be a walkthrough showing a whole variety of perspectives so that your potential customers can see the full potential. 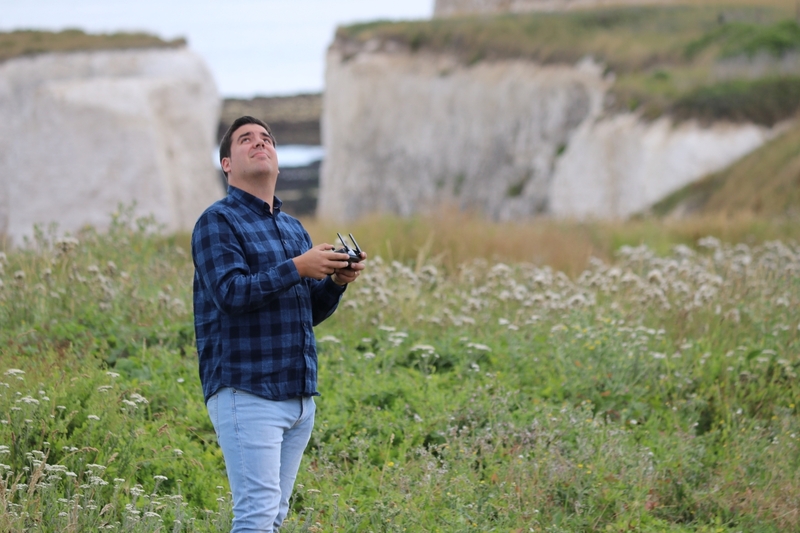 There are lots of ways businesses can use drone video to wow their customers. These can range from showing your product/ service in action like the cars in the video, showing the scale of your business, showing the proximity of what's around you and so much more. Lots of businesses could benefit from drone video including; Fencing/ Gated Security Firms, Commercial Window Cleaners, Roofers, Sports Analysts, Estate Agents , Holiday/ Travel Agencies, Surveyors, Outdoor Catering Companies, Manufacturing (warehouses etc), Holiday & Leisure Parks, Casinos. Step #1 Start a conversation. This allows us to find out more about your business, what you are trying to achieve and how drone video could help you achieve it. 🎓 They know that we have our commercial drone operators license.